315km cycling event starting from Ponteland. Controls at Alston, Longtown, Newcastleton, Hawick and Alnwick, plus 2 information controls. A clockwise loop through Northumberland, Cumbria and the Borders. Two gradual climbs in the first half of the route and a relatively flat second half. Generally quiet roads for all the route and stunning scenery. An ideal first 300 with lots of options for caf�/shop stops or a good training ride for those riding PBP or wanting a calendar 300. No long steep climbs but there are long gradual ascents to Alston and between Newcastleton to Hawick, it is very scenic so you may not really notice. Long Downhills to compensate and plenty of options to stop if needed. Entries for this event are limited and may close before the closing date. If entries are not full at the closing date there may only be a limited number of late entries available if any. If you intend to enter and ride this event then early entry is encouraged to secure a place. 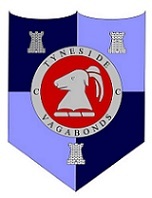 For entry updates see Facebook Page 'Tyneside Vagabonds Audax Events'.